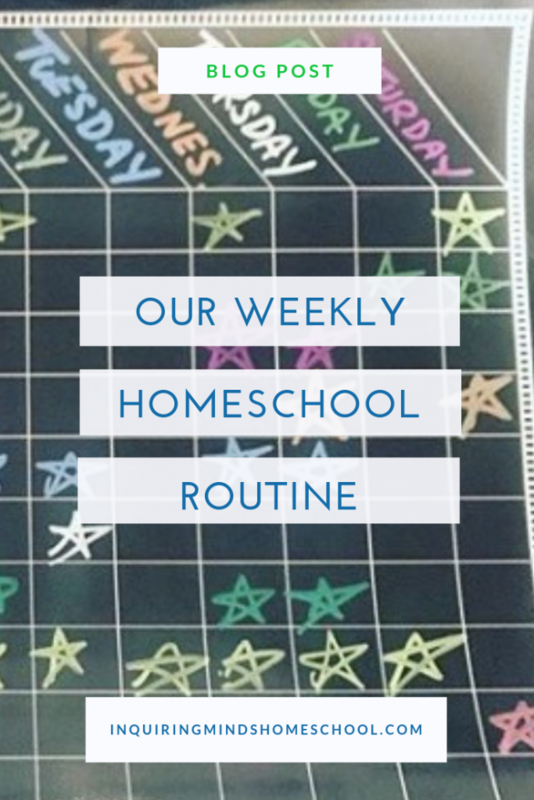 Do you have a weekly homeschool routine that works for you? 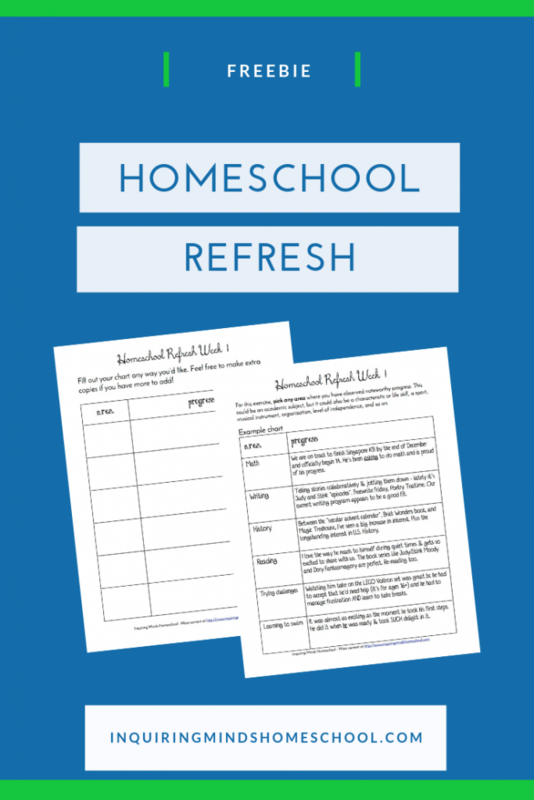 I’d like to share how I plan and keep track of our homeschool in a relaxed way. I’ve tried several different ways of planning, including printed planners, task lists, and “winging it”. 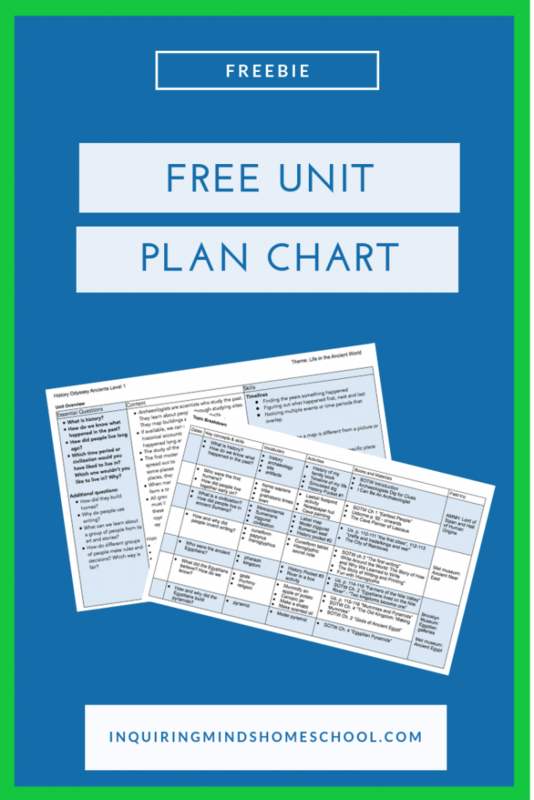 Nothing felt exactly right to me – until I stumbled upon what I’d like to call the Chart Method. Links in this post may be affiliate links to Amazon. At no cost to you, I receive a small commission if you choose to purchase through these links. Thanks for supporting the site! What is the Chart Method? Over the past few months, we’ve settled into a great rhythm using this simple chart that is pictured below. Although it came with a marker or two, I purchased a bigger set so that I could use different colors for different areas. Here’s our most recent week, January 27th-February 2nd. Our overall goal for every area listed on the chart is to get at least two stars per week. This responsibility is shared amongst everyone in the family – it’s not like a chore chart where the child is responsible for getting the chore done on his or her own. This helped us because I need the reminder at least as much as my kid does that we haven’t gotten to a particular area. I try to structure our week to give my child ample opportunities to engage in all sorts of educational activities, but that involves carving out the time, having the materials ready, and clearing space at the table or my son’s desk. My son doesn’t earn a reward or prize for getting an area checked off. These are mostly things that he’s fully on board with doing. There are a few areas that he doesn’t enjoy as much or wouldn’t choose to do on his own, but he understands that they’re important. Not that he doesn’t argue from time to time, or put it off til the end of the week. But in the end, they (mostly) get done. What we track are academic and skill areas that benefit from regular attention. We put some areas that are no brainers to start off with (like reading, for my son) so that he can rack up successes quickly. Anything that requires a lot of effort and scheduling also goes on the chart. Once a month or whenever-we-feel-like-it type activities don’t get tracked on the chart – that’s something I would write down, but it’s not necessary to display it. It would be impossible to keep track of every single thing my son does for homeschool, as well as undesirable. He feeds the cats every morning and does a few other little chores, but they’re so automatic that it’s not necessary to track them. The key with the Chart Method is to set your family up for success. So if your child is struggling with something to the point where it’s not getting done, you may NOT want it on the chart just yet. Or, you can make the goal just once per week. For each area, I’ll describe what “counts” towards completing a session, as well as what we’re currently using. My son is currently five and a half, but what we’re doing is very tailored for HIM and his interests and may not be typical of a “kindergarten” curriculum. And that’s ok! That’s what homeschool is all about! We don’t distinguish between whether it’s my son reading aloud to us, reading to himself, or listening to an adult read to him. It’s all “reading”. You can probably tell from the charts that reading is my son’s favorite thing, apart from LEGOs and pizza. It’s probably unnecessary to track, but it’s something we highly value, and I want my son to feel proud of the effort he puts into it. My son is currently 2/3 of the way through the Magic Tree House Merlin Missions series. He’s also enjoying Zoey and Sassafras, Flat Stanley, and re-reads of the Judy Moody and Stink series. We try to get to math several times per week, whether through a sit down session with the math curriculum (which I may be tossing soon – I’ll write a post on that at some other point) or board games. The other day we were in the doctor’s office and we played several rounds of “Guess My Number” while waiting – that counted too! Right now we’re using Singapore Dimensions 1A, but most of this level seems to be review, so we may either go up to 2A or junk curriculum altogether. Our main curriculum right now is our subway unit study. Realistically, we can’t spend an entire day riding the subway every single week, so we also count reading books about the subway, doing artwork or writing about the subway, or planning future visits. An example of an activity that might count towards our “subway unit study”. We began our nature study in January, and it’s been easier to get outdoors some weeks vs. others. My son is not a naturally outdoorsy kid. He’d rather sit inside playing with toys or reading books than go to the playground! Having “outdoor time” on the chart ensures that it happens, and emphasizes that it’s important to our family. Working on nature study in the house also counts towards this area – so if my son spends time with the rocks he collected or observes the Moon out the window, I check it off on the chart. What I check off for writing might include oral storytelling while we’re playing, a session with the Big Life Journal, a Freewrite Friday, or a Poetry Teatime (though this could also count as reading). A recent Freewrite Friday session! I feel very strongly that art and music should be a regular part of our homeschool. My son used to avoid art due to hating the sensory feelings of paint as well as feeling like his creations weren’t measuring up to what he pictured in his mind. So we’ve basically explored art with process experiences, which don’t end in a product at all. But then he got some perler beads as a gift, and that counted as art too! As for piano, my son is doing video lessons online through Hoffman Academy. He loves the games and funny finger puppets, and feels proud whenever he can learn a new song! Right now we aren’t doing any spelling or word study, but I may add that in soon. We also currently don’t have any foreign language, non-nature study science (though it happens – we just aren’t tracking it), or cooking. I anticipate that our two unit studies will last at least until the summer, and the nature study especially will take us through a full calendar year. We have many other content areas that we could get to, but I don’t want to overwhelm our schedule with too much. I’ll delve into our unit studies more in a future post! The most important piece of advice I have, if you’re going to try this method for yourself, is to have a light touch. 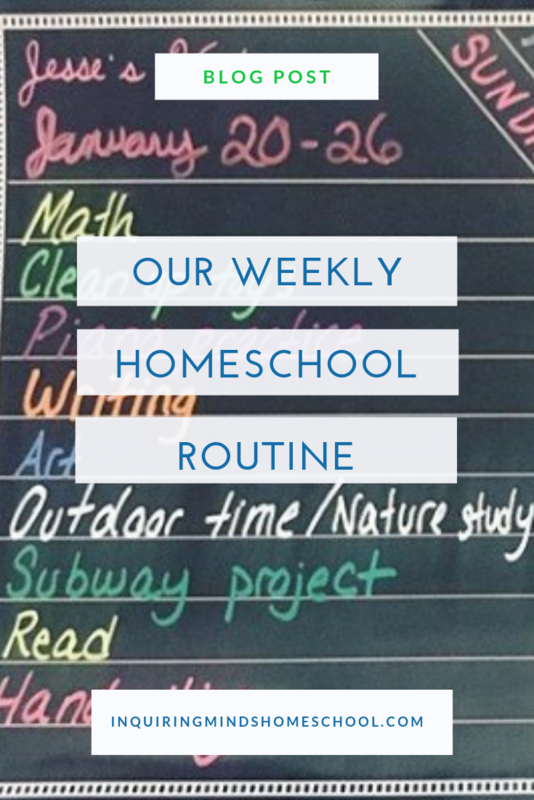 The goal is to be able to visualize what’s happening regularly in your homeschool from one week to the next, not to stress out about filling in all the boxes. If something isn’t happening as often or as in depth as you’d like, it’s an opportunity to problem solve. Is there just not enough time in the week? Is there some barrier to getting this area done happily? Is it being put off to the end of the week because everybody hates the curriculum, or the level is too easy or difficult? Questions about the Chart Method, or anything else about how we homeschool? Connect with me on Instagram! I’d love to chat with you!